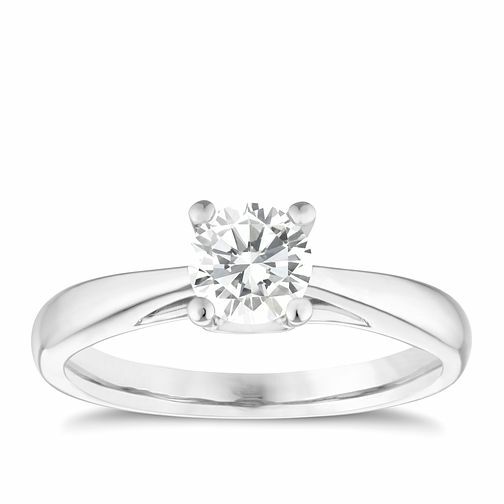 This beautiful 9ct white gold 2/3ct solitaire diamond ring is simplistic yet distinctive. If you're searching for a way to show them how you feel, this charming ring is the perfect romantic gesture for the love in your life. 9ct white gold 2/3ct solitaire diamond ring is rated 5.0 out of 5 by 1.